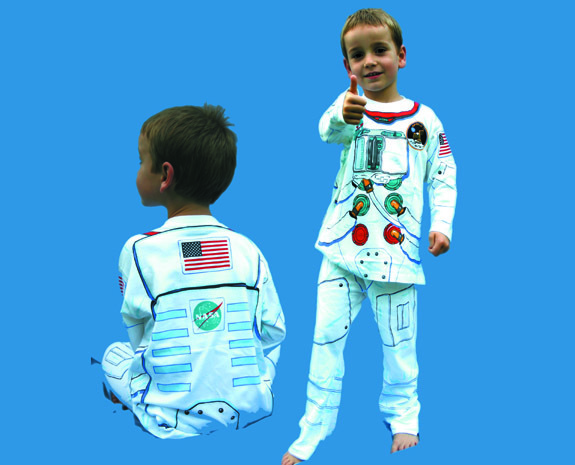 Astronaut pyjamas - spacekids - space toys, dressing up costumes, kids spacesuits, astronaut food, cool space stuff! 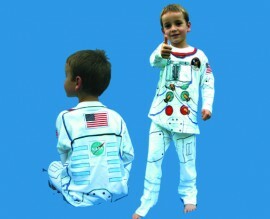 Your child will be able to boldly go (to bed) in these lovely pyjamas. They are made from 100% cotton, are machine washable and include a long sleeved T-shirt and a pair of trousers, printed all over with a NASA space suit design. All features are printed on the garment with azo and pvc free inks.